You don’t need to empty your wallet to experience the finer things in this city. It’s easy to drop thousands of dollars in a night in Shanghai, China’s largest (and flashiest) city. It’s home to some of Asia’s most exclusive clubs, features hotels that you need a small fortune to afford, and is dotted with restaurants that list bird’s nest soup and sautéed abalone among their many dishes. Culture Is This Asia's Best City? But you don’t need to empty your wallet to experience the finer things in this city. We’ve rounded up a few ways you can live a champagne life on a beer budget in Shanghai. Suites at the storied Fairmont Peace Hotel on Shanghai’s famous Bund – that waterfront strip of beautifully preserved colonial buildings – can cost more than ¥5000 (around AU$1000) a night. The who’s who check in here for the property’s history (when it was built in the 1920s, it was known as the “number one mansion in the Far East”) as much as for luxurious accents like marbled bathrooms and an impressive collection of art. Thankfully, you don’t need to book a room to enjoy all the trimmings. The property’s jazz bar has no cover charge, but offers a unique glimpse into the glamour of the era thanks to nightly entertainment performed by a troupe of musicians who have been playing here for decades (their average age is 82). Take a turn on the dance floor or just watch these octogenarians do their stuff. Chinese art is among the most expensive in the world, with collectors spending millions to add a Yue Minjun or Zheng Fanzhi to their private galleries. 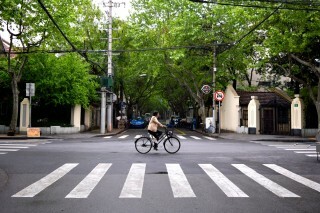 You can gain an appreciation for the country’s creatives for free at M50, Shanghai’s hugely popular modern art district. Housed in a labyrinth of restored factory warehouses, the space is jammed with galleries and studios, not to mention an ever-evolving graffiti wall. Visit Chronus Art Center for unique and fun exhibits, Island6, known for its multimedia and often interactive shows (as well as its awesome opening parties), and Vanguard Gallery for Chinese paintings, prints and photos. The mega-rich flock to Shanghai’s antiques markets and stores, picking up Ming and Qing dynasty scrolls and screens, porcelain vases and ornate trunks. But the city’s best money-can’t-buy objects can be found at the Shanghai Museum. Entry here is free – a rarity in these parts – and gives you access to more than 120,000 pieces of ancient Chinese art and relics including jade, calligraphy, bronze and seals. You could spend hours strolling the halls, learning how emperors and empresses of yesteryear once lived – not to mention how Shanghai’s elite decorate their homes today. High rollers regularly hand over wads of cash to purchase a penthouse with a view in Shanghai – this is, after all, one of Asia’s prettiest cities, with the juxtaposition of new and old along the Huangpu River one of the most-sought-after outlooks in the world. If you want the vista but don’t have the same means as China’s moguls, jump on one of the city’s ferries for (next to) nothing. The ¥2 (AU$0.40) ticket gives you a jaw-dropping perspective of the city, from the grand colonial buildings of Pudong on the west side of the river to the soaring skyscrapers of Puxi on the east side. Come at dusk, when the city begins to sparkle. Why shell out hundreds of dollars to learn how to move like the locals when you can try tai chi for free in a spectacularly scenic setting? Every morning, thousands of Shanghainese head to the Bund for a group session as the sun rises, and the first rays hitting the colonial facades and mirrored towers are something to behold. Ballroom dancing is also a popular activity, with residents twirling and waltzing to the sound of crackly music blasted over speakers. Join in – it’s thoroughly encouraged, and you’ll likely learn a thing or two from the limber locals. Autumn in Shanghai heralds in hairy crab season, with the delicacy added to the menus of some of the city’s most exclusive restaurants for a limited time. Known for its sweet meat and buttery orange roe, these coveted crustaceans can cost more than $100 each – and, given their short season, people queue around the block for the pleasure. But there are a couple of hole-in-the-wall restaurants where you can sample the crabs for a handful of coins. At Ha Jinzi, a dish of scrambled eggs with crab roe and meat only costs around ¥16 (AU$3). Or head to local favourite Jia Jia Tang Bao and order 12 crab dumplings for just ¥27 ($5.50). 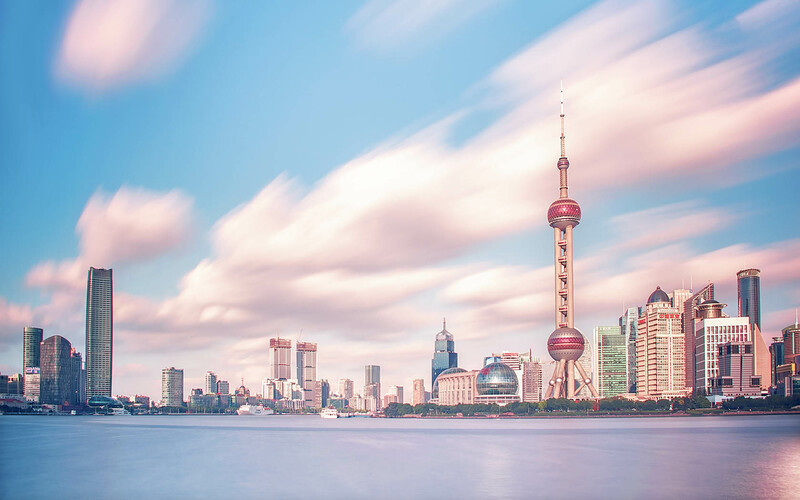 Check out Qantas flights to book your next adventure in Shanghai.